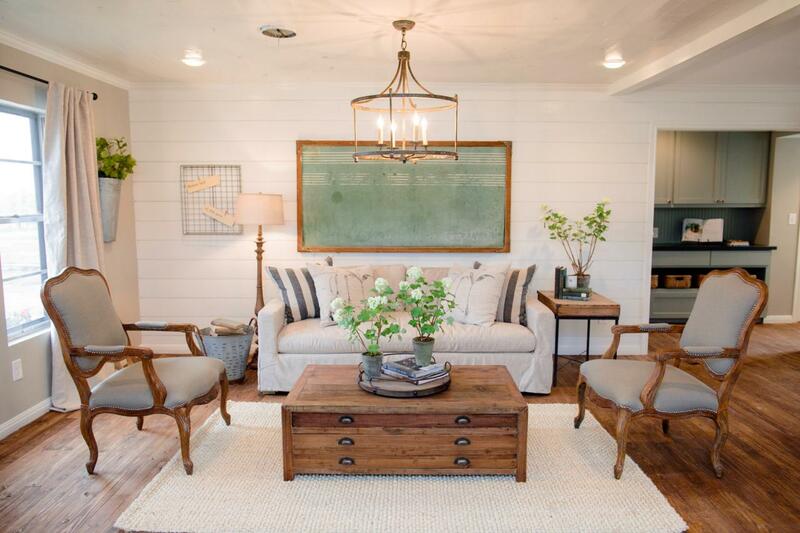 How to Incorporate Chip and Joanna's Fixer Upper Style Into YOUR Home! 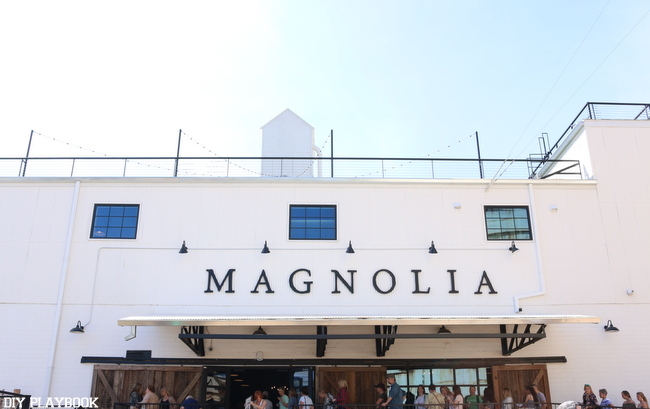 Not only do Chip & Joanna Gaines create these swoon-worthy spaces, they do it while oozing positivity, happiness, and a great sense of humor. 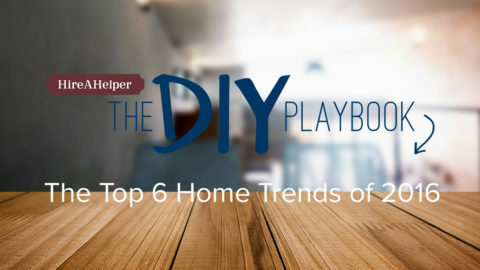 Based on the large success of their Magnolia Market, their home decor shop that recently opened in Waco, and the success of their online marketplace, it is very clear that people want to re-create the Fixer Upper Look in their own homes. Today we are here to help do just that! There’s room for more color in your accents and art, but Joanna tends to decorate using a majority of neutrals. Large furniture pieces (like couches), textiles, rugs, pillows, and even paint color are typically neutral and help create that soothing, relaxing feel in each of these spaces. After layering in the neutrals, warm it up with more textures, hints of black, and wood tones. 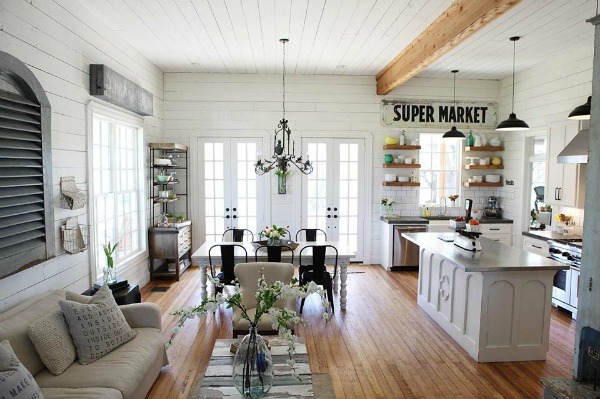 You may not have the opportunity (or budget) to bring in black framed windows and doors (one of Joanna’s staple design elements), but incorporating wood tones and texture with shelves, tables, chairs, and accessories is a great way to warm up that neutral foundation with a hint of farmhouse chic. 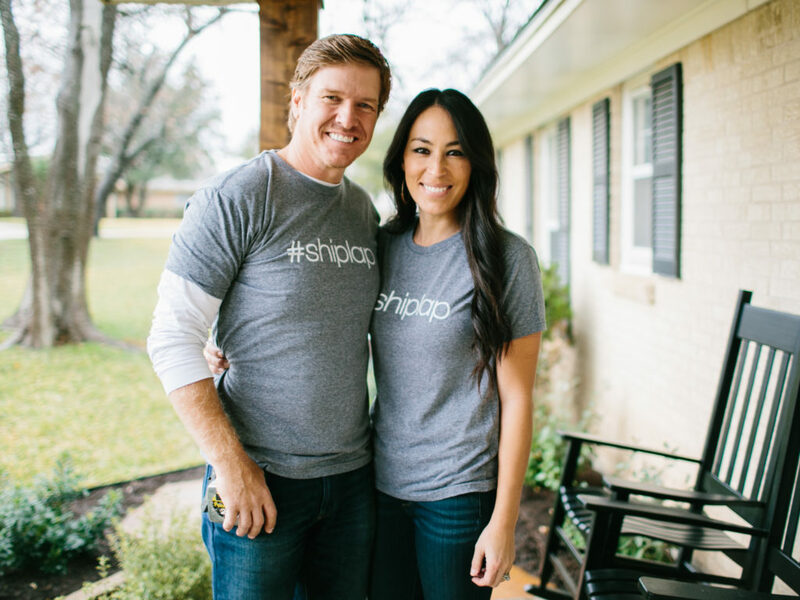 Chip & Joanna are known for the stunning use of shiplap in most of their spaces, so much so that you can buy a #shiplap shirt on their online Magnolia Market store. Installing shiplap into your own space may not be feasible for everyone, but if you can this texture will be sure to get Joanna’s immediate approval! Curb appeal is so important, especially if you’re preparing your home to sell. 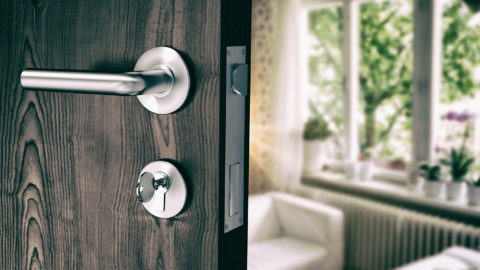 Adding porch furniture, fresh flowers or ferns, painting your front door a fun color, or even some new light fixtures will increase your curb appeal and add instant value to your home! In the meantime, this space will be a great place for you and your family to enjoy the upcoming summer together. 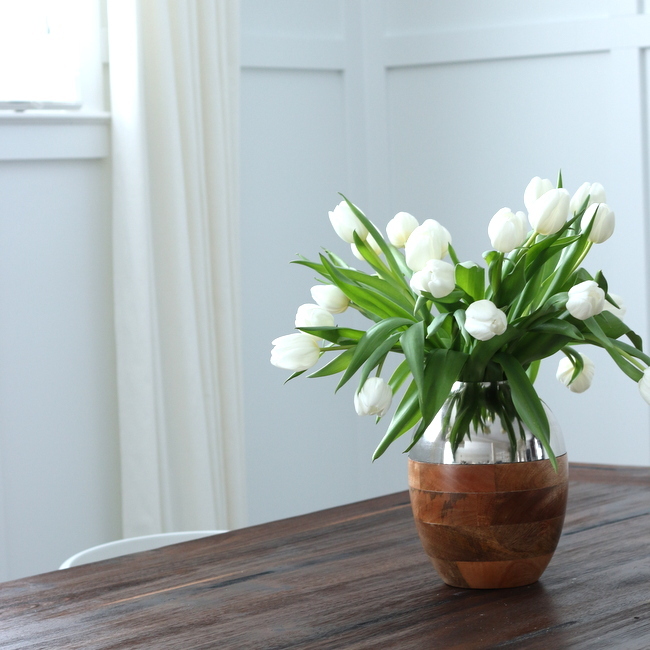 In true Fixer Upper style, it’s important to add life, through greenery, both inside and outside your home. Fresh herbs in the kitchen, succulents on the coffee table, indoor plants, ferns in oversized pots framing your front door — the more greenery the better! Oversized art can make a statement in your home and tell guests a bit about your family’s story. However, oversized art can become pretty expensive if you’re buying it from a store. Instead of purchasing a large piece of art, why not personalize a piece of DIY art that is both affordable and unique to your space and your family? Chip & Joanna often use these personal touches to make a bold statement in their spaces and each tells a story about the family and their new home. 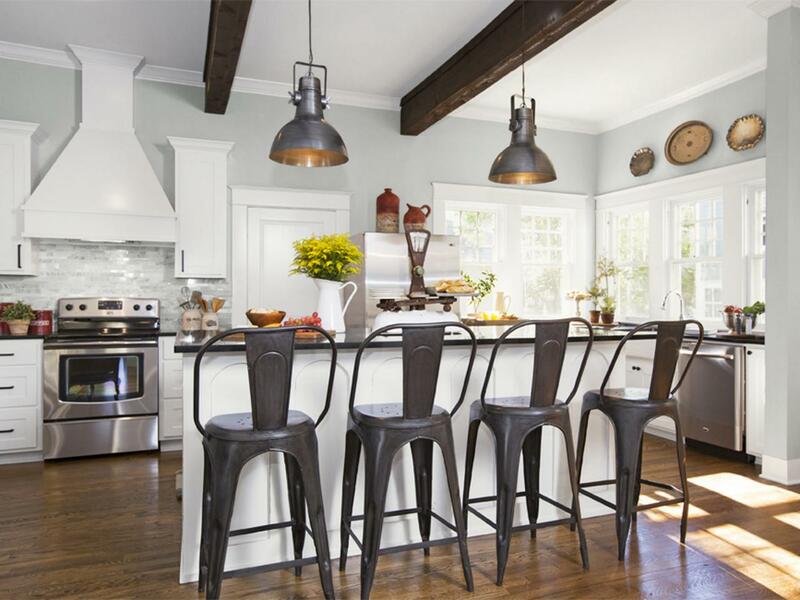 Fixer Upper spaces almost always have bold, pendant lighting. Sometimes these pendants are over the dining room table, sometimes they are over the kitchen island, and sometimes they’re even hung on the wall as a sconce in a cozy reading nook! Any way you use them if you have the chance to change-up your lighting fixtures, this is a great way to incorporate the Gaines’ style into your space in a functional yet fashionable way. 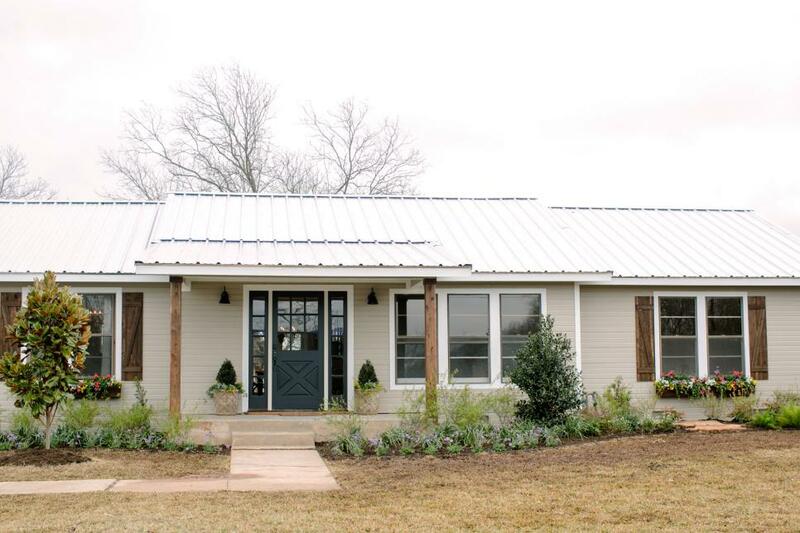 If you’re a Fixer Upper fan, you know why this made the list! 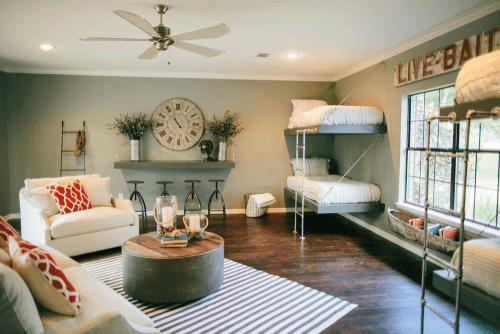 There’s almost always an extra-large clock that makes it into the final reveal of these stunning spaces. Incorporating this one piece into your space is an easy way to instantly channel your inner Fixer Upper style without making a ton of changes in your home. 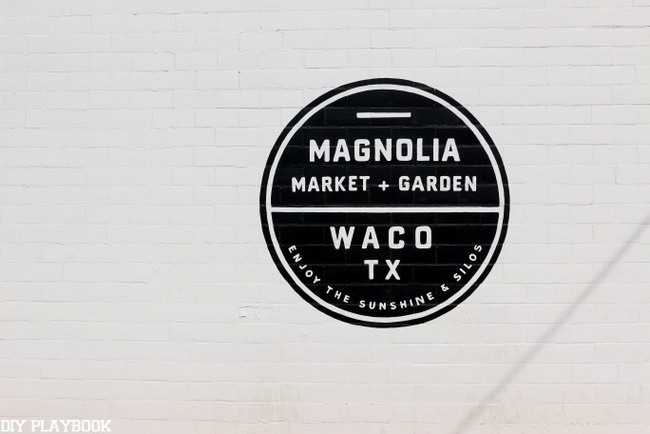 Wreaths are another staple in each Fixer Upper show and at the Magnolia Market. Wreaths can be incorporated into your decor all year round and can easily dress up a door, large mirror, large frame, or even a mantel. 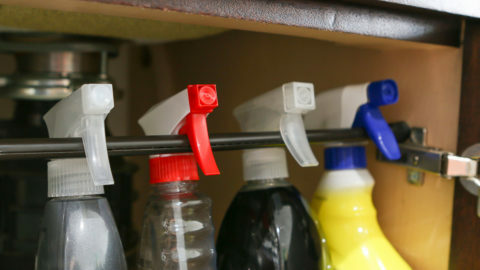 Keep a few in your arsenal and you can’t go wrong! 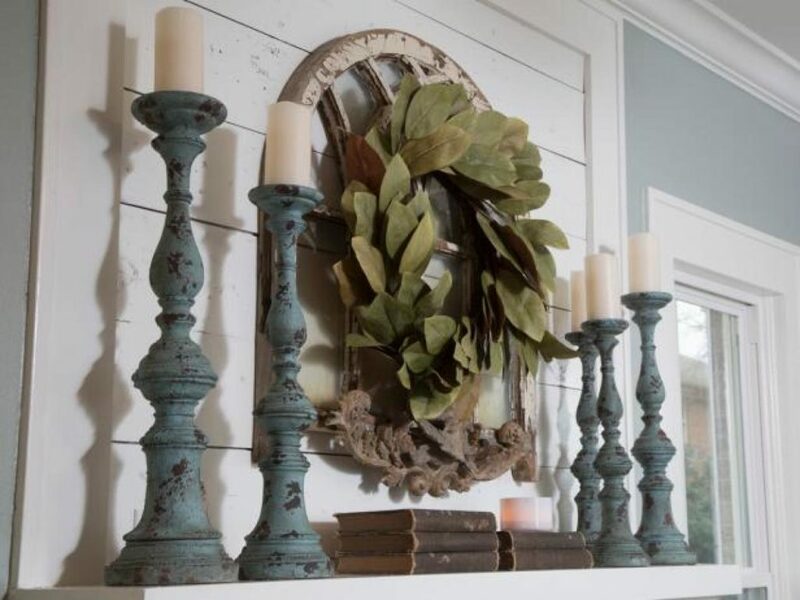 I mean, have you seen these stunning magnolia leaf wreaths?! 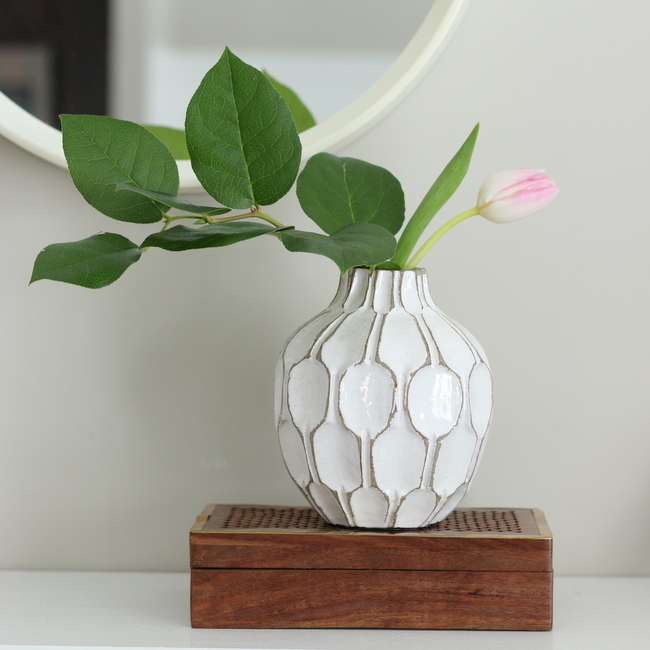 Last but certainly not least, it’s important that you don’t forget to top off your look with a vase of fresh flowers (or even branches from the yard). 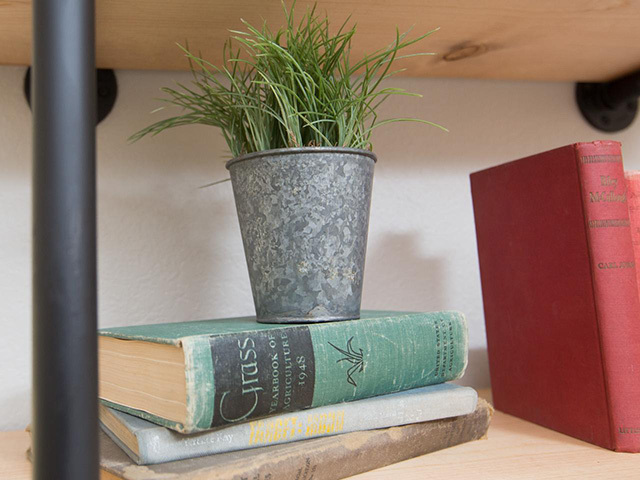 These simple touches of more greenery and life will add freshness and the sense of home sweet home that we all fall in love with after each Fixer Upper home reveal. Well…. that and the adorable relationship between Chip & Joanna that just never seems to get old or less entertaining! Thanks for the inspiration Chip & Jojo, keep up the amazing work! Love your show> It is greatttttttttttttt!!!!!!!!!!!!!! !